Like Treat Maze Toys? I’m Reviewing the BEST One! Friend and fellow blogger Baby Patches has a cool online store called Nip and Bones. She asked me to review a couple of cool items. Today I’m going to talk about the orbee-tuff mazee from Planet Dog, an interactive brain teaser for long-lasting play. I’m a pretty smart dog, so I like maze toys. The best part is that when I play, I get cookies! But of all the treat maze toys I’ve tried, both Jen and I like this one the best. Oh Dog! I know what’s coming next! COOKIES! I like it because while the maze is challenging, it’s not so much that the treats get hung up inside. Jen likes it because this toy is easy to clean. She soaks it in soapy water, then rinses and air dries. The only downside to the orbee-tuff mazee? Sometimes it can be difficult to find. Seems I’ve knocked that toy everywhere possible in this house! Here’s the link to two videos of me with my toy. For some reason I had trouble getting them to upload. If YOU want to have your own orbee-tuff mazee, check it out at Nip and Bones. Disclaimer: I was given the orbee-tuff mazer to use in return for this review. I need to get the Mazee for my dogs! That looks awesome! My sister likes those, for me it is too much work. I prefer just having the food handed to me. 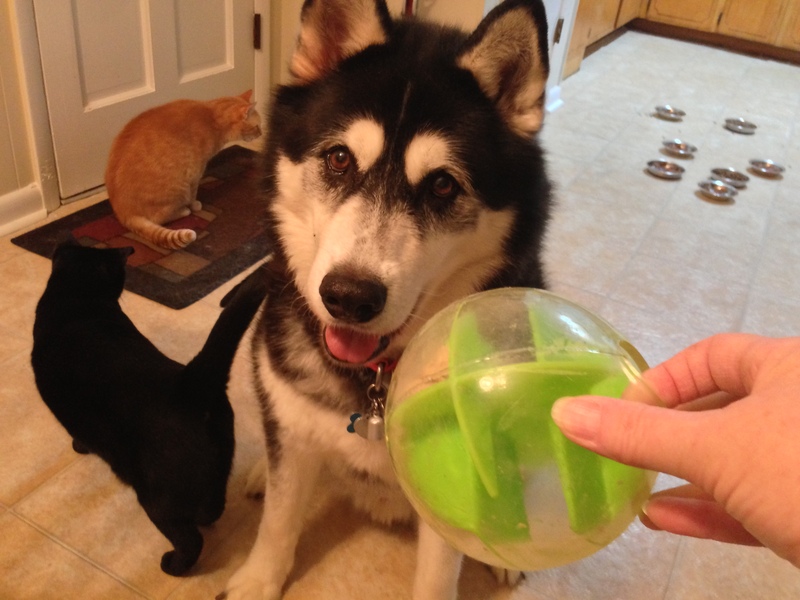 I’ve never had one of those toys… Hey, Mama, what happened to our kong? 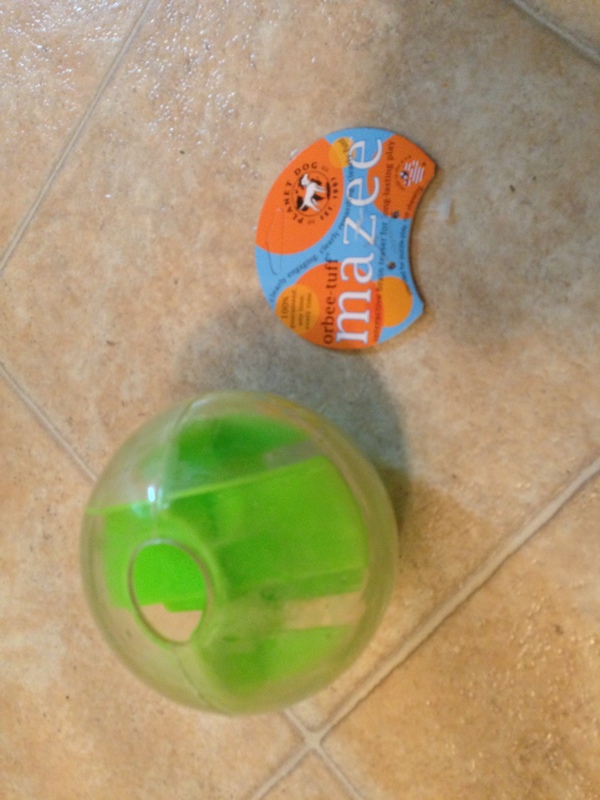 I wonder if they make a maze toy for kitties? I give my kitties fresh catnip from my herbarium! They love it! Jen bought a catnip plant for our kitties. Now they stay high. Hey, those look really fun! I’m going to keep an eye out for a few for my crew 🙂 Thanks for the review Rumpy and have a great weekend! Hmmm… I have an “interactive brain teaser,” too, but I just call mine the peep. Yours, however, seems to an upgraded version. Bet your “interactive brain teaser” plays with you when YOU want and doesn’t go off in the car and leave you alone all day. MOUSES! OMD what a FUN thingy THAT is. That toy looks like so much fun! I’m not sure which of my dogs will figure it out first, Maya or Pierson? I love maze toys and IQ treat toys! That looks like fun! Cookies! Yum! We love treat maze toys! Looks like fun! Okay, we’re gonna be honest. We hate treat maze toys. We have a few of them but we don’t like working for treats. But you sure look like you’re having fun with yours! That looks fun!! What does the kat think of it? And yes, you are a smart dog. OMG I subscribed to your channel Rumpy.. heehee! Handsome playful dog, makes me happy seeing you be silly!